The year is really drawing to a close I am so excited for Christmas and New Year celebrations to start, there is nothing like the festive season it has to be my all time favourite holiday period! But this post is not about the joy of Christmas, it instead has a humanitarian flavour. These past few years have been rife with sadness world wide. War and continuing wars have marred peace on this planet and although we all want to help sometimes it can feel like there is nothing we can do, that the problem is so overwhelmingly great its hard to know where to begin! 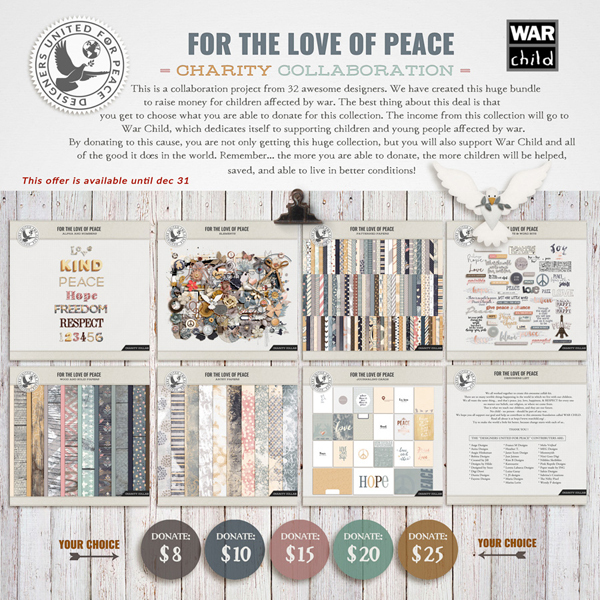 So 32 digital designers, including myself got together united by peace and created this beautiful collaborative kit 'FOR THE LOVE OF PEACE' to help raise funds for a very important organisation WAR CHILD. This organisation is doing some incredible things with a common vision and dedication to providing children affected by war with safe havens, eductaion and training, justice and Psychosocial services enabling these children to regain self esteem and build relationships again. 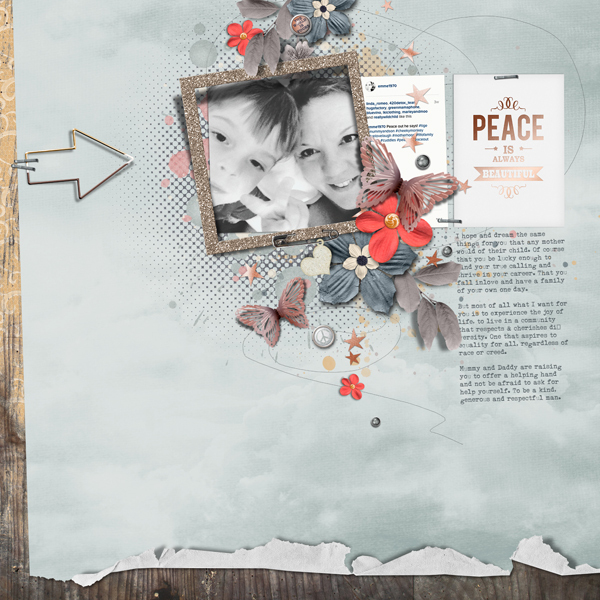 100% of the funds raised from the sale of this mega kit will go directly to WAR CHILD all you have to do is nominate your donation amount make your purchase and wollah you can download this stunning kit and start creating some beautiful pages but most importantly you will be supporting this fantastic organisation in the amazing work they do!